¿QUIÉNES FORMAN PADRE NUESTRO Y QUE INSTRUMENTÓ TOCAN? POR LA INQUIETUD MUSICAL DE LOS HERMANOS SALGADO Y EL GRAN CANTANTE JORGE GUZMAN, EN EL AÑO DE 1988 SE INTEGRAN JUNTO A OTROS ELEMENTOS Y DAN VIDA A LO QUE HASTA LA FECHA ES PADRE NUESTRO. ¿DE DONDE PROVIENE SU NOMBRE? BUENO SURGIO DE COMUN ACUERDO YA QUE CONSIDERAMOS QUE LA PALABRA O EL ADJETIVO PADRE NUESTRO, ES UNIVERSAL. CON EL CUAL PODEMOS MANEJAR CUALQUIER TEMA PARA LAS LETRAS DE NUESTRAS COMPOSICIONES, ACLARANDO QUE ESTO NO TIENE NADA DE RELACION CON LA RELIGION O EL CRISTIANISMO. BUENO, COMO SE HAN DADO CUENTA EN TODOS ESTOS AÑOS NUESTRO ESTILO. ES HEAVY METAL, CON ARREGLOS MELODICOS Y CABIOS DE RITMO HASTA TINTES DE POWER Y SPEED METAL .TODO ESO MANEJADO CON LETRAS EN ESPAÑOL Y TRATAMOS DE HACERLO DE LA MEJOR CALIDAD POSIBLE. BENDITA SEAS – 1989- DEMO. QUIEN ES EL- 1990- AVANZADA METALICA. 1991- GUERRERO AL SOL- INDEPENDIENTE. ¿CUÁLES SON SUS INFLUENCIAS MUSICALES? VAN DESDE LOS CLASICOS. IRON MAIDEN,JUDAS PRIEST, METALLICA,HELLOWEEN, ACCEPT, BLACK SABBATH,ETC. DE TODOS ELLOS TRATAMOS DE SACAR ALGO YA SEA DE SONIDO O ARREGLOS O COMPOSICIONES Y DA COMO RESULTADO LO QUE HEMOS VENIDO TOCANDO DESDE HACE YA UN BUEN RATO. ¿DE TODAS SUS CANCIONES CUÁL ES SU FAVORITA O QUE CONSIDEREN ESPECIAL? BUENO, ES DIFICIL DECIDIRSE POR UNA YA QUE SON BASTANTES CANCIONES LAS QUE TENEMOS .,PERO LO QUE SI TE DIGO ES QUE EN CONCIERTO, LA GENTE NOS PIDE CANCIONES QUE YA SON COMO LAS CLASICAS. QUE NO DEBEN DE FALTAR, ENTRE ELLAS ESTAN: PADRE NUESTRO, REY TERROR, HECHIZERO, GUERRERO AL SOL, HUMANIDAD,ETC. ¿CUÁL ES LA PRESENTACIÓN QUE MAS RECUERDAN Y POR QUÉ? ¿QUÉ VISIÓN Y QUÉ PLANES TIENE PADRE NUESTRO PARA EL FUTURO? OK , ESTAMOS EN LAETAPA DE COMPONER TEMAS PARA EL PROX CD DEL GRUPO, TAL VEZ METAMOS ALGUNAS CANCIONES DEL GUERRERO AL SOL. Y EN LA PARTE DE PRESENTACIONES, ACABAMOS DE TOCAR, AQUÍ EN CUERNAVACA JUNTO A. LOS ANGELES DEL INFIERNO, RAXXAS Y PADRE NUESTRO. 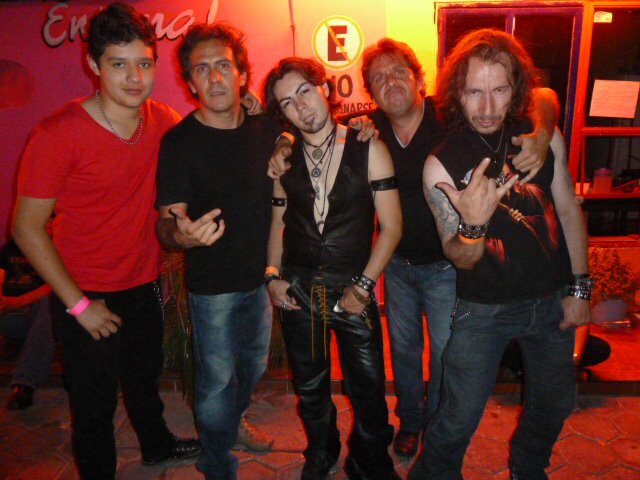 DANDOLES UN MUY BUEN SHOW A TODOS LOS QUE ASISTIERON ESE DIA.SALUDOS A RAXXAS SON UNA GRAN BANDA. JUNIO Y JULIO TENEMOS ALGUNAS FECHAS Y PRONTO SALDRAN LAS PROPAGANDAS. ¿QUÉ OPINAN DE LA ESCENA METALERA EN EL MÉXICO? SE HA VENIDO DESARROLLANDO EN GRAN ESCALA , SI RECUERDAS HACE 20 AÑOS ERA DIFICIL QUE TUVIERAMOS CONCIERTOS INTERNACIONALES , LOS HABIA PERO ERAN CONTADOS. A LA FECHA HAY PARA ESCOGER CONCIERTOS Y DE DISTINTOS GENEROS MUSICALES, NO EXISTIA EL INTERNET, NO HABIA APOYOS EN RADIO, NI TV NACIONALES PARA EL METAL, AHORA ES DIFERENTE . PRENSA ESCRITA SIEMPRE LA HEMOS TENIDO, CONTADAS PERO SI EXISTIA DESDE ANTES, ESTAN LOS DIFERENTES FESTIVALES QUE AHORA YA EXISTEN VIVE LATINO , METAL FEST ETC. AHORA LO MEJOR ES QUE EXISTE TU PAGINA Y EL ESPACIO QUE NOS BRINDAS A LOS GRUPOS, UN ABRAZO Y UNA FELICITACION PUBLICA POR TU MAGNIFICA IDEA,Y DEJAME DECIRTE QUE CUENTAS CON PADRE NUESTRO PARA LO QUE SE TE OFRESCA. ¿QUÉ CONSEJO LES PUEDEN DAR A LAS BANDAS QUE APENAS INICIAN? OK , A TODOS ELLOS SOLO DECIRLES QUE LO TOMEN EN SERIO, QUE SEAN PROFESIONALES EN LO QUE HACEN . YA SEA AL ENSAYAR , AL COMPONER , AL DAR CONCIERTOS, AL DAR ENTREVISTAS. ESTO NO ES FACIL, PERO REQUIERE MUCHO SACRIFICIO, TIEMPO ,ESFUERZO,INVERCION DE DINERO ETC. PERO LO BUENO Y LO MEJOR DE TODO ES LA SATISFACCION DE CUADO ESTAS EN CONCIERTO VER A LA GENTE PRENDIDA CON TUS ROLAS . ¿ALGO MÁS QUE DESEEN AGREGAR? 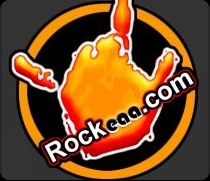 SI, UN SALUDO Y UN FUERTE ABRAZO DEL PADRE NUESTRO PARA TI Y TUS COLABORADORES,PRIMERO POR LA GRAN IDEA DE SU PAGINA ROCKUEAA.COM Y SEGUNDA POR EL ESPACIO QUE NOS BRINDASTE PARA QUE A TRAVES DE ESTA, NOS PUEDAN LEER MILES DE METALEROS EN MEXICO Y MAS ALLA DE MEXICO. A LA GENTE QUE NOS HA SEGUIDO POR TANTO TIEMPO, GRACIAS X SU APOYO Y AGUANTE . Y NOS VEMOS EN EL PROXIMO CONCIERTO. GARCIAS.